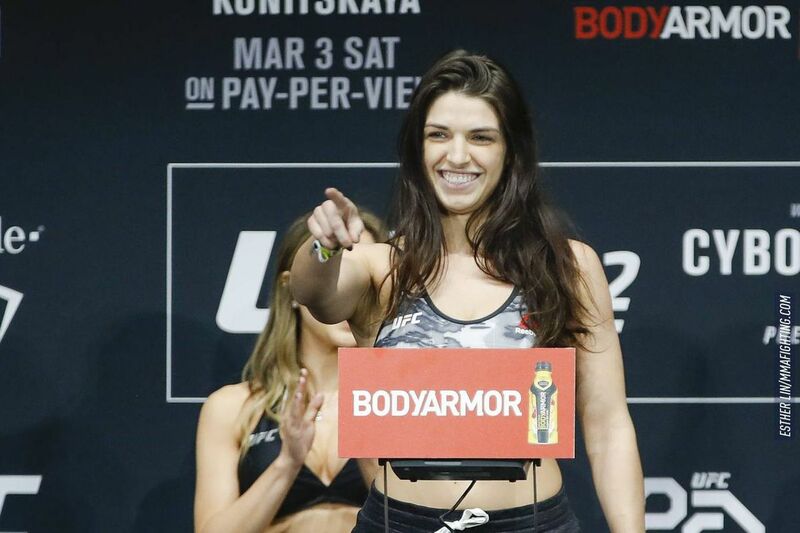 If it wasn’t clear enough already, Polyana Viana proved that attempting to rob an Ultimate Fighting Championship athlete is an endeavor that comes with serious consequences. Joanna Jedrzejczyk plans on leaving UFC 231 as flyweight champion, a victory that in her mind will cement her status as the top female fighter in mixed martial arts history. Tatiana Suarez looked every bit the part of future strawweight title contender at UFC 228. Virna Jandiroba defended her Invicta Fighting Championships strawweight title for the first time Saturday. Amanda Nunes and Nina Ansaroff will be tying the knot in the near future.